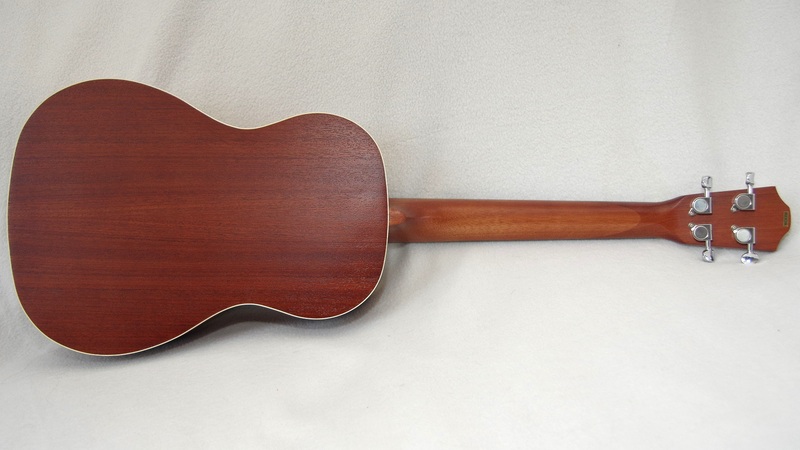 the body is made of mahogany laminate and the only bling is a white binding; weight is 765g. intonation could be better even though the action is already on a comfortable level (1mm at first fret), i guess that’s where you see that the u3b is on the lower end of the price scale. overall sound is very much like a guitar as expected; after all it is tuned a full octave below the “standard” ukulele tuning – in the tonal area of guitars. i will not keep it forever. 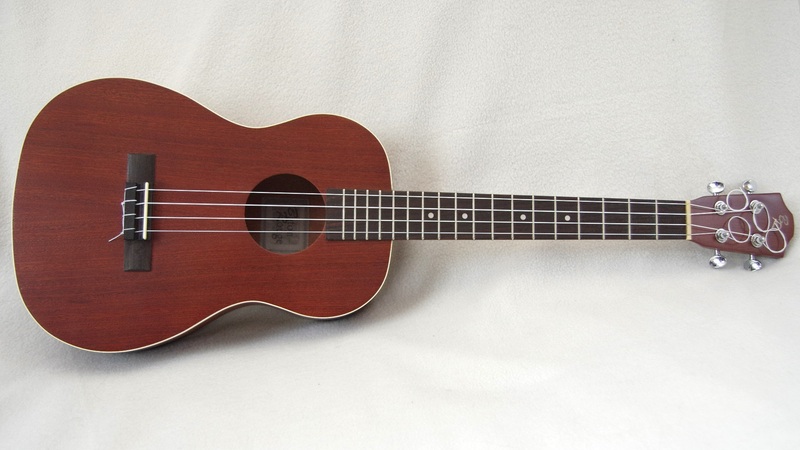 it adds a nice low end to a group of ukulele players, but it feels to big and bulky for me. had i wanted that size i would have started playing the guitar.